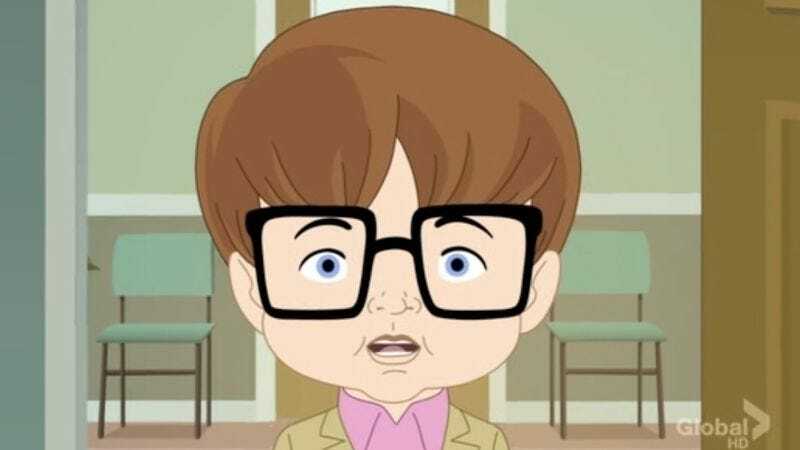 The Jonah Hill-voiced Allen Gregory lasted for only seven critically drubbed, ratings-impaired episodes in Fox’s animated lineup, but the hole it left in our hearts is eternal. Sadly, America will be denied more Allen Gregory. But as a consolation, Fox has agreed to give the creators of Allen Gregory another shot. Fox has given the go-ahead to a pilot from the show’s co-creators, Andrew Mogul and Jarrad Paul, titled The Grinder. A live-action sitcom, it revolves around two brothers—brothers who do not appear to work behind the scenes in the offices of a hookup app for gay men. Nor do they factor into the woeful tale of a senior citizen who endlessly churns the organ for an overbearing song-and-dance monkey. Other than that, however, plot details remain a mystery. Mogul and Paul most recently penned the screenplay for The D Train, a forthcoming comedy starring James Marsden and Jack Black. Nick Stoller (Neighbors, Forgetting Sarah Marshall) is executive producing and may also direct the pilot episode.